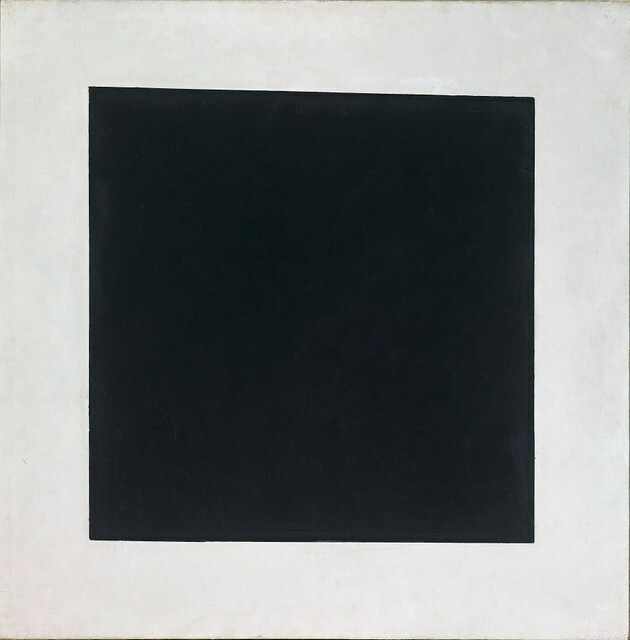 Kazimir Malevich's seminal work 'black square' had as much influence on modern art today as Duchamp's urinal, and this exhibition charts his life and journey as an artist that would eventually lead to him creating simple forms in a movement he named Suprematism. 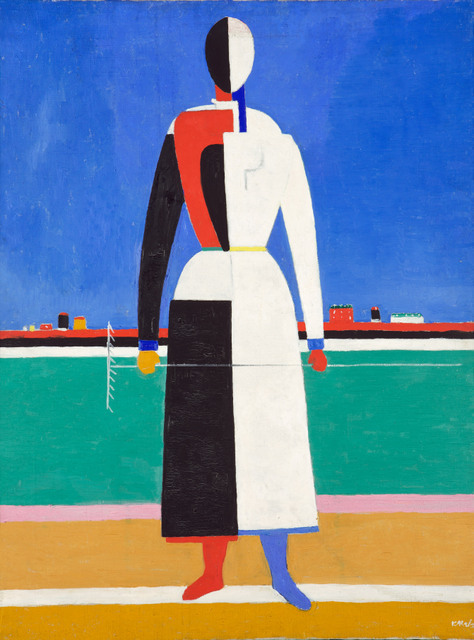 The first third of this exhibition shows how Malevich tried to emulate the artists who had come before him, trialling Impressionism and Cubism by drawing inspiration from the likes of Picasso and Klee. 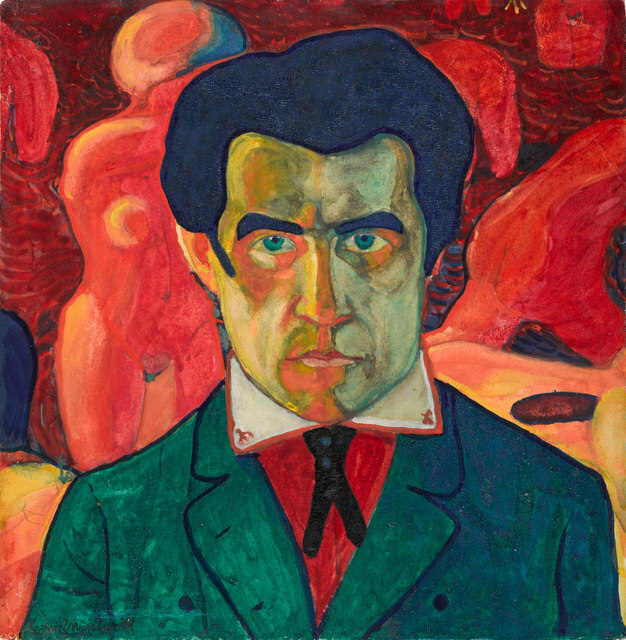 But it's clear from these works that although he was a talented painter, Malevich was not happy and was constantly experimenting to find a new way forward. This led him to theorise that to capture the true essence of an object he must break it down into simply colour and form, with this reductive path eventually culminating in his famous black square paintings — two of them are on display in this show. From then on we see only blocked forms and sculptures, at first titled to represent something he's seen such as a boy with a rucksack, before transcending the representational and simply bearing titles like Suprematist composition. We wish the exhibition ended here as the addition of works on paper and artists inspired by Malevich does lower the overall quality of the display. 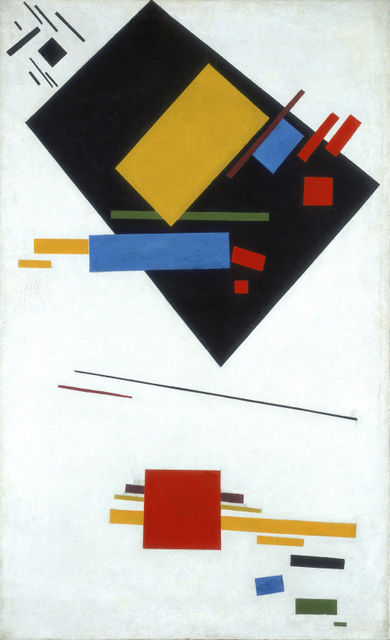 And Malevich also seems to lose his way with a return to figurative art a last resort after he had taken abstraction to its inevitable conclusion. Despite the wayward final third, this is a comprehensive retrospective and for those who either struggle to grasp, or do not respect, abstract art this exhibition shows how one artist's journey charts out the natural evolution of modern art from portraits and landscapes to a simple black square. 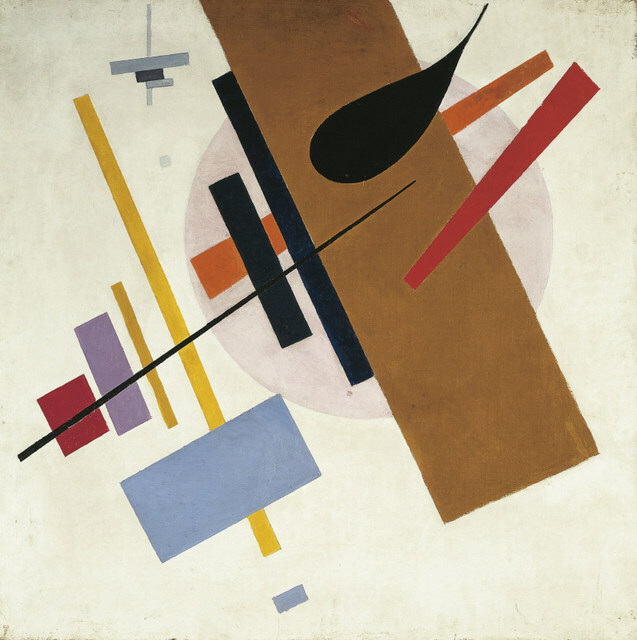 Malevich: Revolutionary of Russian Art is on at Tate Modern until 26 October. Tickets are £13.10 for adults, concessions available. Also still on at Tate Modern are the bright and colourful Matisse cut-outs.